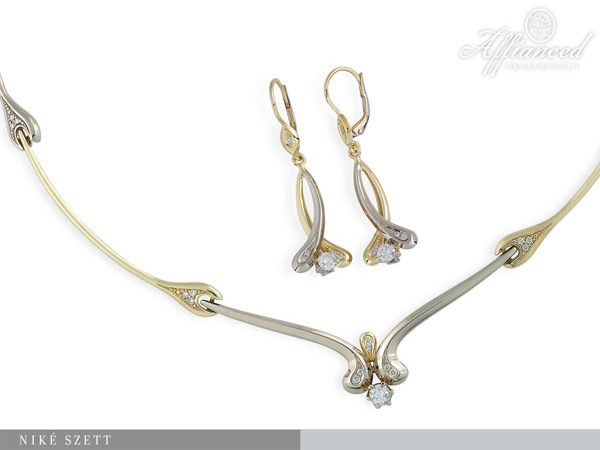 Yellow and white gold Jewelry Set wit brilliants. Add to my favourites, get a Quote. 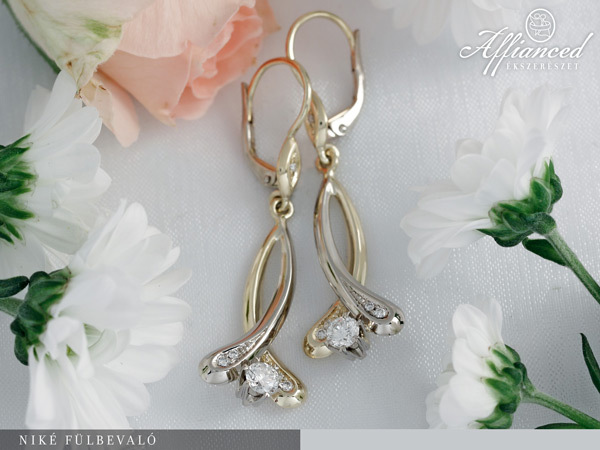 BROWSE THROUGH THE SPECIALITIES OF OUR ‘TULIP’ COLLECTION AS WELL! Hungarian craftsmanship traditions are limitless sources of inspiration and new artistic ambitions. Bringing the topical or everyday wear items of this collection to life conveys our own perspective of this wonderful topic. Here, plans and ideas already done are presented. 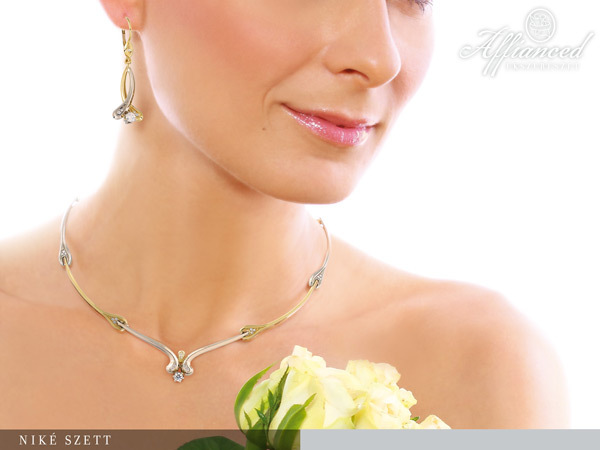 Our gallery is constantly expanding on the front of unique jewellery. This is the result of our guests – new and coming back alike – giving us more and more interesting and special tasks. In our jewellery, completely unique items – made for completely unique ideas and wishes – can be viewed. Finding new ways, different technical and functional tricks and last but not least, getting to know new materials is an exciting experiment for us. 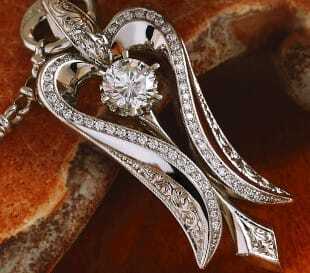 For our customers, however, it is exciting cooperation, since the items they want are being made for them, with them. These challenges provide continuous professional progress, which then bring newer challenges and opportunities. During all this, we acquire a lot of dear memories and relationships with our returning guests. 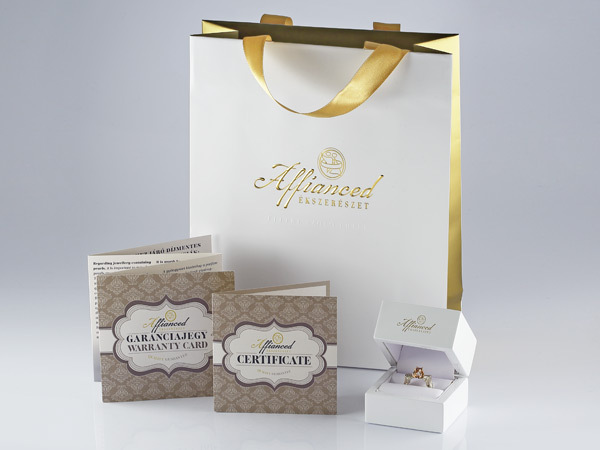 A few collections in our gallery came to be a complete set under the course of years, with each new item in it being made for different occasions – birthdays, marriage anniversaries – since jewellery is always a gift that makes the receiving one happy. Even more so if the pieces make a lovely set in the end. 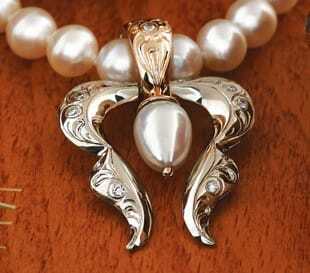 Aside from the crowd of precious stones, pearls are the greatest decorative requirements for the ladies. This wonder of the clams is often called „tear of the bride”, even. A white pearl necklace and a pair of lovely pearl earrings are irreplaceable accessories of a beautiful white wedding dress. Among our guests, the Tahitian black pearl is quite popular with its wide range of shades – gendarme, sea green going to deep grey. Differently angled and coloured precious stones give the most variable base for creative fantasies. 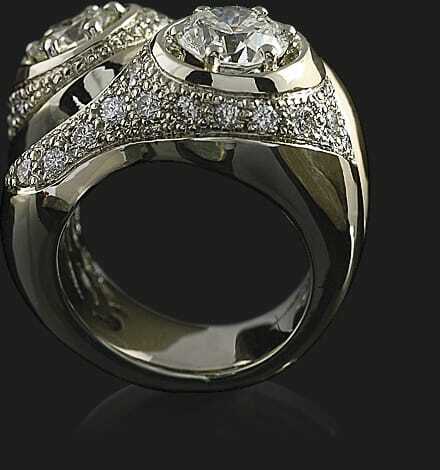 A task most exciting is making an item of jewellery based on a special stone. Making unique jewellery is a job that requires refined view on things, great precision and proportional senses and professional readiness. For the most exceptional of works, even a few years of practice can be a must. We hope to bring happiness to our dear customers with our collection, having them discover an item of their own in the photo album, and I trust to give some ideas with them for future visitors, too. Copyright © 2019 Affianced Fine Jewellery. All rights reserved!